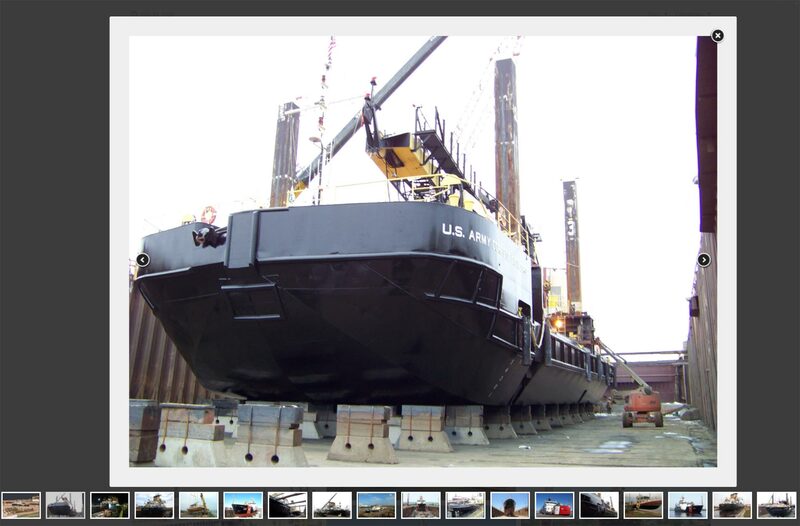 Launching an online presence for an historic Great Lakes shipyard. Long-time client Added Value Marketing brought Laukkonen Design onboard to design a new website for Fraser Shipyards. Since 1888, Fraser’s focus on Great Lakes maritime excellence in shipbuilding and repair has been unsurpassed. Replacing an outdated website, their new site is mobile-ready, responsive and ready to grow. 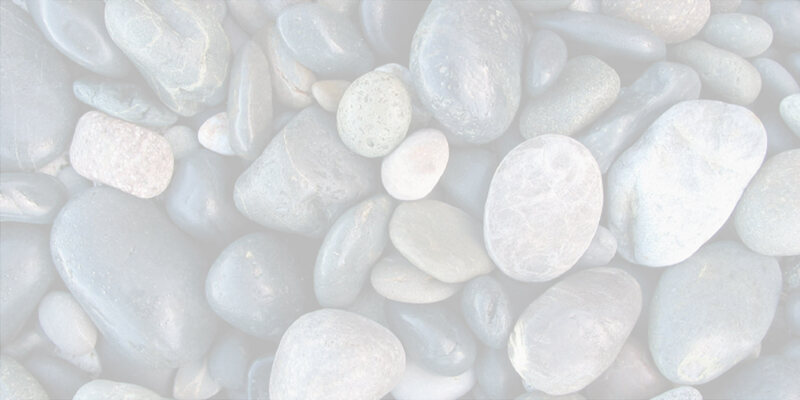 Highlighting their keen leadership, deep experience and detailed customer support, it positions them for longterm growth. Copywriting by Scott Anderson/AVM and Kevin Fenton. 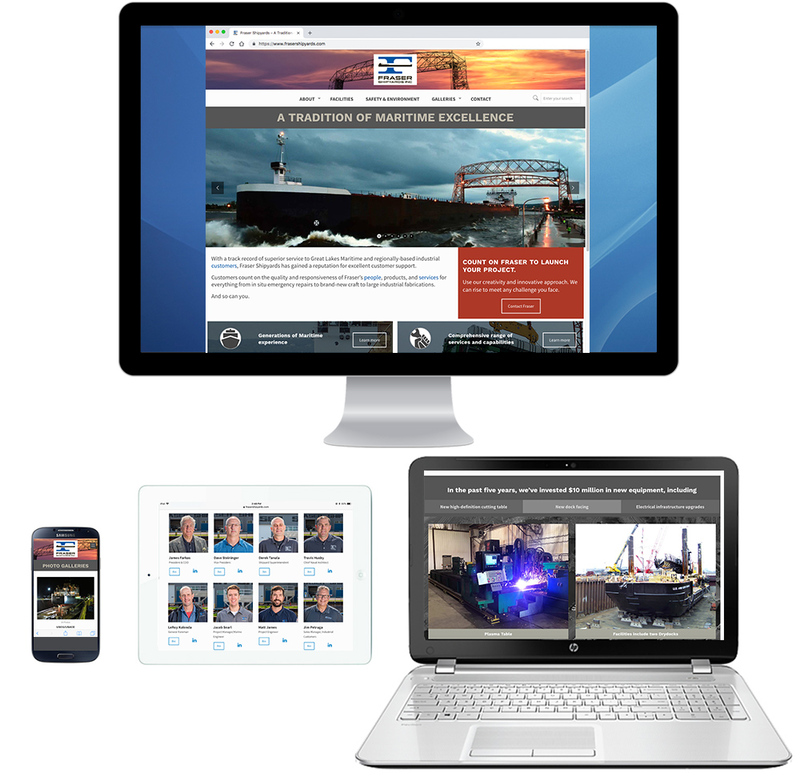 Fraser Shipyard’s website resizes its elements, adapting to desktop or mobile devices for a great experience. It’s easy to read and navigate, and shows up higher than competitors’ “desk-top only” websites in Google searches. 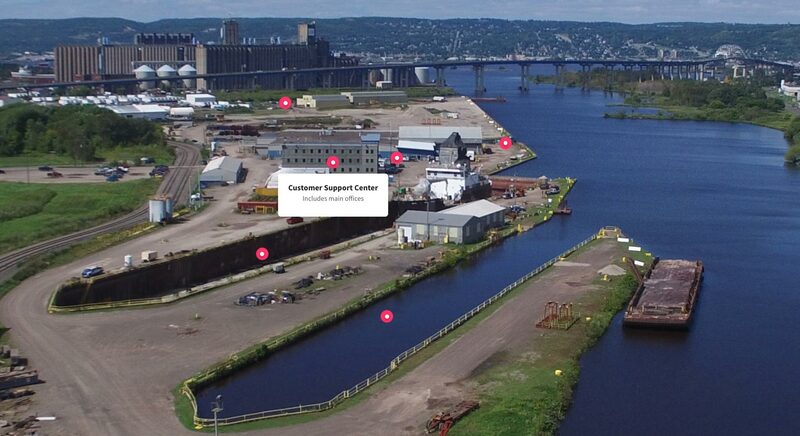 A simple ‘hotspot’ rollover shows the key areas of Fraser Shipyards on Lake Superior, including two drydocks, a new Customer Support Center, two repair berths and a machine and fabricating shop. Services provided by Fraser are like the ships they work on—big, and impressive. Profiling the extensive experience of their team of 16 employees shows the heart behind the company, with pop-up bios and LinkedIn profiles. Proud to be in business since 1888, a new icon celebrates Fraser’s history—and will look great on the back of a jacket. As part of Fraser Industries, Fraser Shipyards partners with their sister companies—Lake Assault Boats, Northern Engineering and Viant Crane—to provide strong customer support.